The conference ‘Legal History and Empires: Perspectives from the Colonised’ was held at The University of the West Indies, Cave Hill Campus, in Barbados from July 11 to 13, 2018. The conference is jointly sponsored by the Faculty of Law and Faculty of Humanities and Education of The University of the West Indies, Cave Hill Campus, and an international group of legal historians and historians of the law. The Keynote Speaker was Dr. Maya Jasanoff, Coolidge Professor of History, Harvard University. A number of members of the Irish Legal History Society presented papers at the conference. This conference followed the successful conference on the Legal Histories of the British Empire held at the National University of Singapore in 2012, and is similarly designed to bring together senior and emerging scholars working in the fields of imperial and colonial legal history. Recently published by Palgrave as part of their Modern Legal History series. This multi-disciplinary study considers the intersection between law and family life in Ireland from the early nineteenth to the mid-twentieth century. Setting the law in its wider social historical context it traces marriage from its formation through to its breakdown. It considers the impact of the law on such issues as adultery, divorce, broken engagements, marriage settlements, pregnancy, adoption, property, domestic violence, concealment of birth and inter-family homicide, as well as the historical origins of the Constitutional protection of the family. 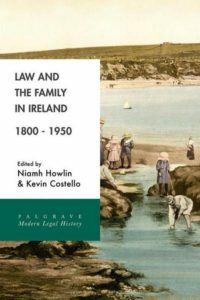 An underlying theme is the way in which the law of the family in Ireland differed from the law of the family in England. 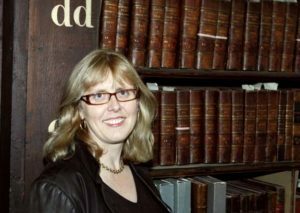 With contributions by Maebh Harding, Karen Brennan, Mary O’Dowd, Diane Urquhart, Thomas Mohr, Deirdre McGowan, Michael Sinnott, Lindsey Earner-Byrne, Elaine Farrell, Simone McCoughran and Fred Powell.